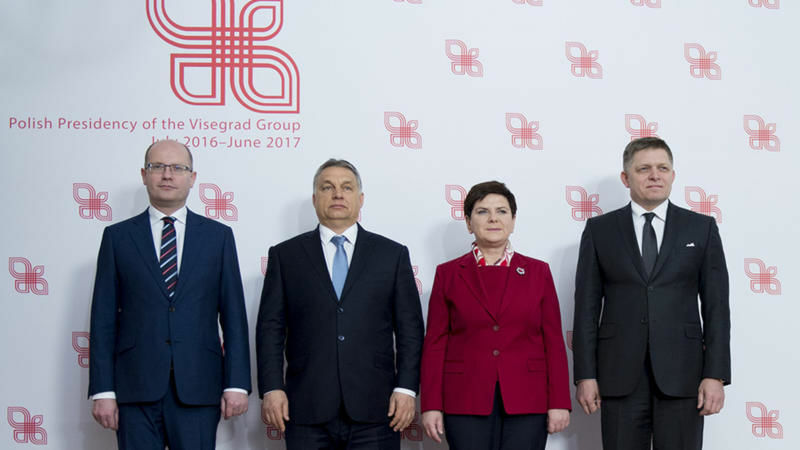 The Visegrád countries have found common ground in recent years opposing the EU’s relocation policy and rejecting the idea of a two-speed Europe, but also in advocating the preservation of the Union’s cohesion policy. But the regional grouping is not homogeneous. Slovakia and the Czech Republic are led by centre-left prime ministers. Hungary’s Viktor Orbán, officially EPP-affiliated, is spearheading “illiberal democracy”, while Poland is governed by a Eurosceptic populist force. The Visegrád countries are the most optimistic about Donald Trump’s election victory in the United States, with Orbán in particular voicing his enthusiasm. But Poland is wary that the recent push for common European defence could weaken NATO. Donald Trump’s victory in the US elections took most of the EU countries by surprise. A majority of leaders appeared apprehensive of the consequences, with the exception of Hungarian Prime Minister Viktor Orbán, for whom Trump’s election is “great news” and a proof that “democracy is still alive”. 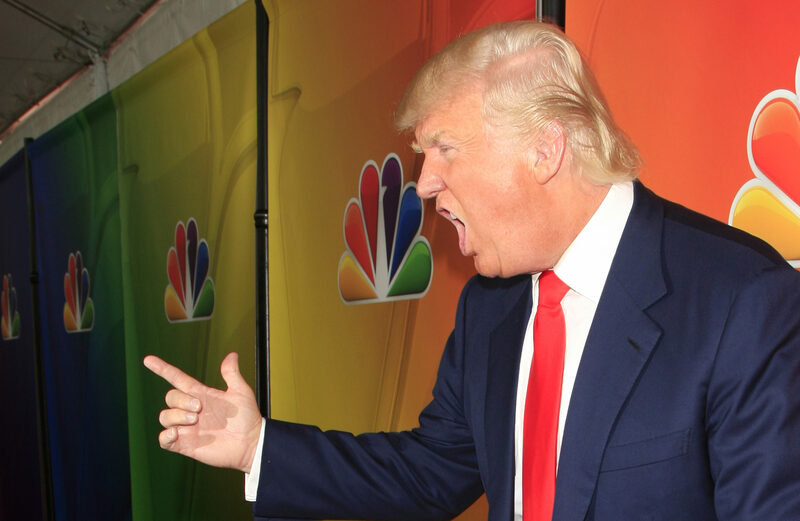 This article will be updated as reactions keep arriving. Slovakia is the only Visegrád country to have adopted the euro, while the other three countries have no plans to join the common currency anytime soon, despite their EU accession treaties requiring them to do so. All four countries are net beneficiaries of EU funding. A mood is developing among the older EU members to withhold cohesion funds from countries that oppose the relocation of refugees, although no legal basis for this actually exists. Under the Polish presidency of Visegrád, the four prime ministers met in Warsaw and adopted a declaration called “Strong Europe – Union of Action and Trust”, which will be their input to the EU summit at the end of the month, held on the 60th anniversary of the Rome Treaty. 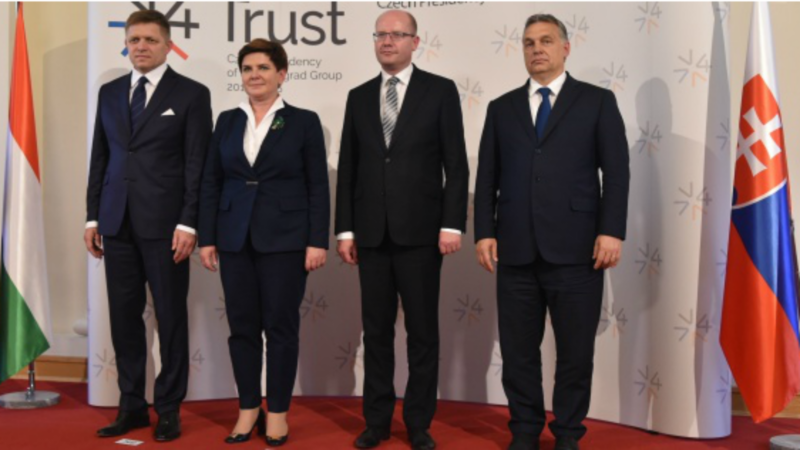 The Visegrád Four state that in the rapidly changing geopolitical environment the EU remains the best instrument to address the challenges the member states are facing. They mention that the values on which the EU is based – human dignity, freedom, democracy, equality, the rule of law and respect for human rights – remain valid. The leaders state that the EU’s unity is of “vital importance and should always be the starting point of our approach”. “Reaching consensus is indispensable if we want to foster confidence in our activities,” they state, before adding that enhanced cooperation is also an option, as the EU treaties foresee, but that “any form of enhanced cooperation should be open to every member state and should strictly avoid any kind of disintegration of the single market, Schengen area and the European Union itself”. The joint statement stresses the importance of further developing the single market and preserving the four freedoms on which it is based. It warns that “social standards cannot be uniform”. “The EU budget should continue to provide long-term, predictable and stable investment. 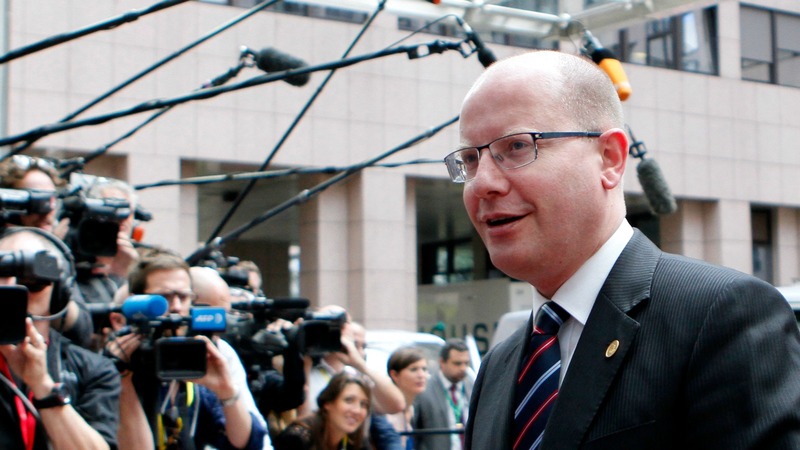 […] The role of the cohesion policy in this regard is irreplaceable,” the leaders insisted. Regarding relations between the eurozone and non-eurozone, they oppose any new institutional architecture and stress that “any new developments should be designed transparently and kept open to all member states”. “The EU institutions, together with the member states, will facilitate the coexistence between different perspectives within the single institutional framework ensuring consistency, the effective operability of Union mechanisms and the equality of member states before the Treaties,” the statement reads. 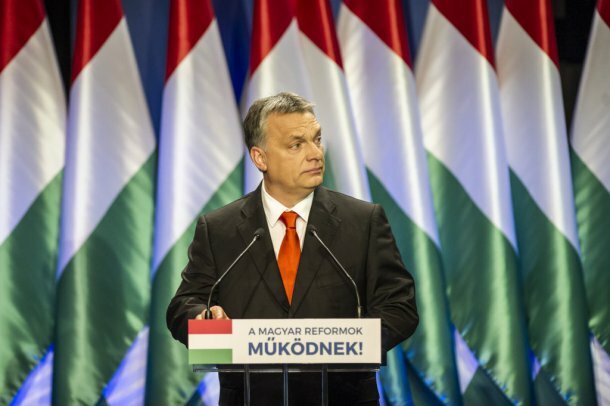 The leaders advocate strengthening the EU’s external borders and a return to “a proper functioning of the Schengen area”, despite the fact that Hungary continues to build fences at its borders. “Complementarity between the EU and NATO has to be ensured,” the leaders continued, adding that European defence capabilities have to be developed, while preserving the role of NATO in providing collective defence in Europe. They also advocate the maintaining of the transatlantic relation and continuing “close cooperation with the UK”. The Visegrád leaders reiterate their preference for EU decision making in the Council, rather than in the Commission. Last June they said that Brexit negotiations should be led by the Council President, rather than by the Commission. “In particular, the European Council shall profoundly discuss issues of European agenda which are of major national interest to member states”, they state. The Warsaw meeting also came in the run-up to next week’s EU summit (9-10 March). The election of a Council President is on the agenda. 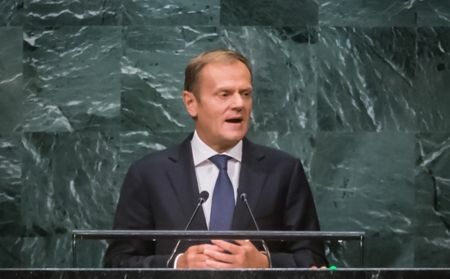 Poland’s Donald Tusk can stand for re-election for a 2.5 year mandate, but he is opposed by his own country. Poland confirmed yesterday (28 February) it would oppose the reappointment of former Prime Minister Donald Tusk next week as president of the European Council, highlighting the increased isolation of the nationalist Polish government in Europe. The EU is imposing protectionist measures on Polish truckers – banning them from making long-distance international deliveries – in a flagrant abuse of the rule of law and its much TRUMPeted Fundamental Freedoms. It’s not the EU -it’s western states. The EU is actually the only hope to get this move reversed. It should have forbidden it already, true. But without it barriers would be incomparably higher!